Keller Williams Real Estate has teamed up with Equity Lock Solutions to deliver an innovative new concept to home owners and prospective buyers of properties in Park City, Utah. Home Price Protection™ was just recognized by the National Association of Realtors as the 2011 Product of the Year. 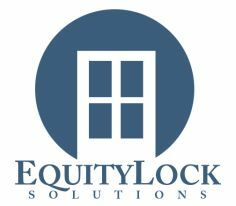 EquityLock Solutions' Home Price Protection™ Contracts compensate you in the event of a real estate market decline! Home Price Protection™ provides you with peace of mind that in a declining real estate market your home equity will be protected--and compensates you if your local housing price index falls and you sell your home. Home Price Protection™ is structured as a contract, not as an insurance policy. Here is the important distinction-- you collect your payment from Home Price Protection™ if your market index falls, regardless of the price at which you sell your home. If you already own a Park City or Deer Valley area property, or if you're considering investing in one, you are elligible to protect yourself against possible further market declines. Of course, there's much more to know about this innovative program. For all the details, please complete the form below, and we'll get back to you right away with a complete packet of information.